Many students studying financial planning and accounting and bookkeeping with us are naturally focussed on becoming technically proficient with the subject matter at hand. This is of course a very good thing! However there is an equally important skill that students also must develop over time. It can loosely be described as ‘soft skills’. Soft skills are all about ‘how’ you interact with a client. It does not relate specifically to ‘what’ you know, rather, how you communicate your knowledge with a client. 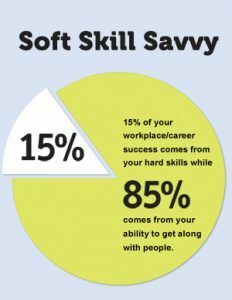 Soft skills include the ability to listen, influence a client, the ability to show patience and adapt generally. 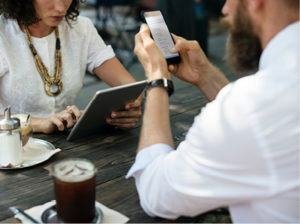 These “communication skills” are often overlooked in favour of strong technical knowledge when recruiters interview candidates, but that is changing. Strong research shows successful advisers need both great knowledge and excellent soft skills. No fewer than the head of the Association of Financial Advisers, Brad Fox and the Director of the AMP Horizon project, Amelia Constantinidis highlighted the importance of soft skills in recent interviews. And the term ‘adviser’ these days really does cover the field. If you complete our Certificate IV in Accounting and want to become a Registered BAS Agent, soft skills are crucial. If you complete our Diploma of Financial Planning and want to become a financial planner or work in a job role within a financial services organisation where talking to their clients is required, soft skills are equally important.